When we follow the cycles of nature we become aware of ourselves and the rhythm of our lives. We start to view things differently once conscious. Observing the cycle of the Moon through ceremony or mere observation is not new to us, fishermen, gardeners and farmers all know to do their trade around the optimal cycles of the Moon. Full Moon is usually an emotionally charged time that builds up from around a day before and wanes or eases a day after. 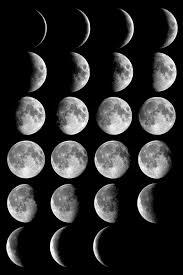 The Full Moon culminates and bears the fruit of the seeds that were planted during the preceding New Moon. This 23rd/24th January sees a Full Moon in Leo. Here is a good write-up of what to expect and be mindful of Leo Full Moon.